The 9.6 km link of Delhi Metro’s Red Line between Dilshad Garden in east Delhi and New Bus Adda in Ghaziabad all set to start services. Delhi, Metro Rail News: Delhi Metro’s 9.6 km Red line extension link between Dilshad Garden station in New Delhi to New Bus Adda station in Ghaziabad is expected to be inaugurated in February end. Ghaziabad Development authority will announce the inauguration date soon as The Red Line corridor has been inspected by the Commissioner of Metro Rail Safety (CMRS). Commuters can travel The total journey from Dilshad Garden to New Bus Adda will in 16 minutes. After opening of this 9.63 km long section, the Red Line will be 34.72 km in length. The 25.09 km long Red Line is operational between Rithala to Dilshad Garden. As many as six stations along this route, Raj Bagh, Rajendra Nagar, Shyam Park, Mohan Nagar, Arthala, and New Bus Adda, have station buildings on both sides interconnecting at the concourse level and with station platforms through Foot Over Bridges (FOB). Shaheed Nagar has building on one side (Ghaziabad to Delhi) and the other side is connected through FOB. The Hindon River station is off-road with four floors, a lower ground level for parking, the upper ground level for the main station, an entry/exit and a concourse level for entering the paid area and connection of another entry/exit areas across GT-Road through the FOB and platform level. After Vaishali, This would be the second Metro Line in Ghaziabad and the first Metro link connecting the interiors of Ghaziabad. The extension of Metro line will connect residents of Ghaziabad City with various parts of Delhi / NCR region. This corridor will pass through the Sahibabad Industrial Area and will significantly impact the residential areas lying in proximity. With the extension of the Metro, the connectivity to Mohan Nagar from Dilshad Garden would also improve considerably. Currently, commuters have to rely on other modes of transport from Dilshad Garden to reach Sahibabad and Ghaziabad. 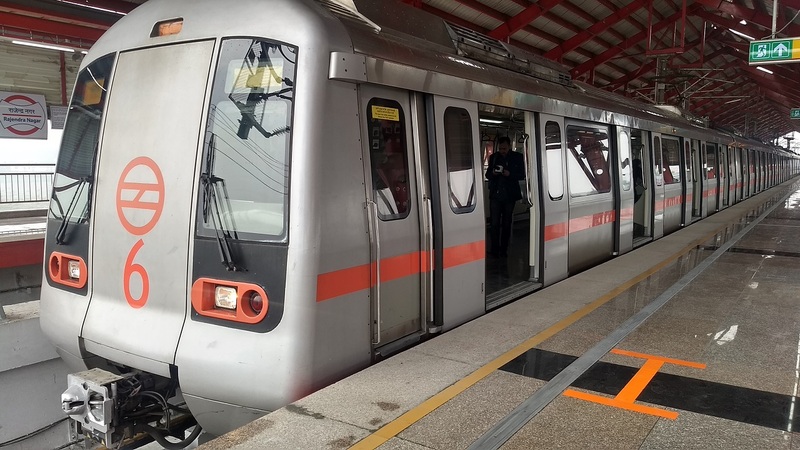 The Delhi Metro Rail Corporation (DMRC) carried out most of the construction activities and launching operations during the night for four to five hours. The non-stop traffic on the GT road was a major challenge while constructing this section. “Trains will be available at a peak hour frequency of six minutes and 12 seconds on the Dilshad Garden – New Bus Adda section. A total of 35 six coach trains will be used on the entire Rithala – New Bus Adda Red corridor” Said Mr. Anuj Dayal. Trial runs for the project started in August 2018 and it was cleared by the Public Investment Board on January 11. The Union Cabinet cleared the project on January 23 and approved the Centre’s grant of Rs 324.87 towards the project. The total cost of the project is estimated to be around Rs 1781.21 crore. After the opening of this section, the DMRC will have a 336.5 km network with 244 metro stations.